Wendy Williams has Graves disease. What is it? Williams has Graves disease, a condition that causes the immune system to attack the thyroid. It often goes undiagnosed because its symptoms run a wide spectrum. 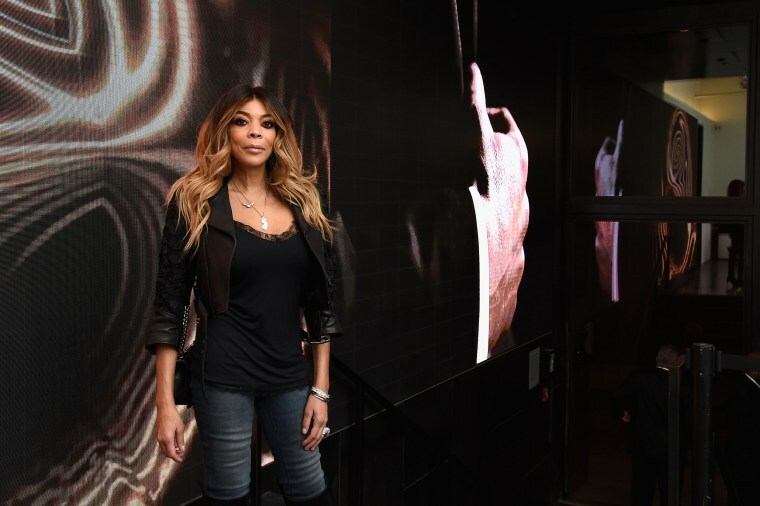 Talk show host Wendy Williams announced to her viewers on Wednesday that she was ordered by her doctor to take a three-week hiatus from her daytime show. The time off, she said with both emotion and humor, will be used to deal with her health issues, particularly Graves disease. I'd heard of Graves disease prior to Williams' reveal, but I knew little about it other than both George and Barbara Bush were diagnosed with it (it is not contagious). Upon speaking with a doctor who specializes in the disease, as well as with people living with it, I learned that it's an extremely complex and deeply disruptive condition that, if not treated, can lead to heart and bone issues and fatal complications (although rare). Wendy Williams actually described Graves disease pretty well when she said that her thyroid had been "totally cattywampus." But for a more scientific definition, let's turn to Dr. Terry Jay Smith, a professor at the University of Michigan Medical School who specializes in endocrinology. About half of the people with Graves who develop over-activity of the thyroid also develop a very peculiar process around the eye which causes the eye to become inflamed and to bulge. "Graves disease is an autoimmune disease. The immune system incorrectly identifies the thyroid as foreign," he tells NBC News BETTER, adding that about 98 percent of his patients have the condition. "Because of this misidentification, antibodies are generated and there are T-cells that intersect in their surveillance and produce factors which, in the case of Graves disease, frequently cause the over-activity of the thyroid gland, [aka hyperthyroidism]." Named after Robert Graves, (the first physician to describe this type of hyperthyroidism), this disease can also have a devastating impact on the eyes, which Williams alluded to in her reveal. This is a common effect of Graves, because, as Dr. Smith explains, the immune system may also mistake the tissues in the back of the eye as foreign. "About half of the people with Graves who develop over-activity of the thyroid also develop a very peculiar process around the eye which causes the eye to become inflamed and to bulge," says Dr. Smith. Heightened sensitivity to temperatures (especially heat/feeling hot). When Lauren Letourneau of Berlin, New Hampshire went to the doctor in the fall of 2013 with high blood pressure, heart palpitations, brain fog, poor memory and an inability to wear her contact lenses because her eyes were bulging so much, she was misdiagnosed as menopausal (Letourneau was 43 at the time) and sent home. It wasn't until her sixth hospital visit that she was taken seriously, and soon after, correctly diagnosed with Graves disease in May 2014. "The endocrinologist told me my [thyroid] levels were so high that I should not be able to stand on my feet let alone be alive," Letourneau says. "I was minutes away from a thyroid storm [a life-threatening complication of the disease]. Everything was shutting down. But until that point, I didn't even know what a thyroid was." The reason why women are more prone to Graves than men (7 to 8 times more likely) has yet to be pinpointed, though as Dr. Smith notes, this is the case with all autoimmune diseases. Pregnancy is thought to be a possible trigger in the case of Graves, while other non-gender-specific triggers include emotional and physical stress and smoking. Family history, genetics and age also play a potential role (Smith notes that it typically hits women in prime child-bearing years). I don't sleep. I have depression, anxiety and heart issues — all of which I never had before [Graves]. Ideally a person suffering from Graves will be able to have their thyroid levels regulated with medications such as Methimazole, Dr. Smith says, but meds don’t cure the disease. Some people need more intensive treatments such as Radioactive Iodine (RAI), which ideally will eliminate your thyroid, or even a thyroidectomy, the surgical removal of your thyroid. You’d then go on medications like Levothyroxine to simulate the functions of a normal thyroid. Both Letourneau and Garrett Sweeney (a 39-year-old man in Pennsylvania who was diagnosed with Graves in 2015) underwent RAI, but they are both still suffering. Letourneau is fairly sure she’ll need a thyroidectomy down the road, while Sweeney, unsure of what lies ahead, is just tired of feeling awful. Dr. Smith is also pleased to hear that Williams is speaking out about Graves and building awareness. He recommends that anyone who has the aforementioned symptoms be tested for Graves disease and if they have it, to reach out immediately for support. If you can’t find a group locally, or if you’re feeling too ill to go out, your best bet is to turn to the Internet. Sweeney and Letourneau are members of a Facebook group called Surviving Graves Disease, a vital, compassionate community that also welcomes the friends and family members of those living with Graves. NEXT: Lady Gaga has fibromyalgia. What is it?